There's nothing quite like a California desert wedding. When Jasmine and Tom said they were getting married at Rimrock Ranch in Joshua Tree, CA, I was SO excited! 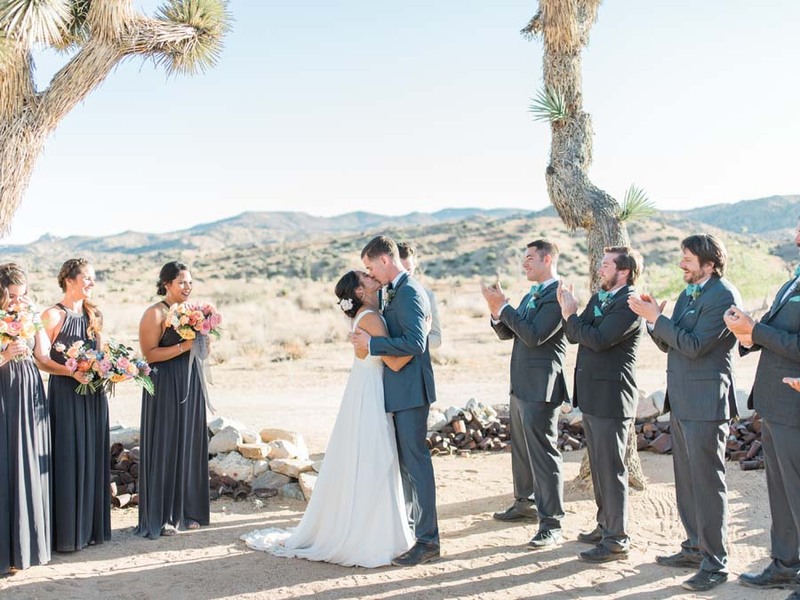 Joshua Tree is one of my favorite getaway locations and I think it's the perfect place to host an intimate wedding. There's just something so romantic about saying your vows in the stillness of the desert. Not only were Tom and Jasmine beyond amazing to work with, but their wedding was also a blast to plan! I mean we had a Mexican candy bar, frozen margaritas and s'mores, what more could you ask for? The decor details were also stunning. The florals were a mix of dessert flowers and succulents, which looked perfect at the venue. I hope you enjoy these incredible images taken by Matt Morgan as much as we do! You can literally feel the love through the photos and we can't get enough. Thank you to Tom and Jasmine for being a super rad couple. We had an amazing time planning your big day and wish you all the best in your new adventure as husband and wife!